AirVantage provides simple integration with any hardware supporting MQTT. It couldn’t be easier! Just select your hardware, get a MQTT library for your platform and send data to AirVantage using the MQTT tutorial. (And the PAHO project supplies a list of libraries in several languages). Need some help ? Check our How-to tutorials, it covers some common devices. For each type, we explain how to send data and provide sample code for you to install. 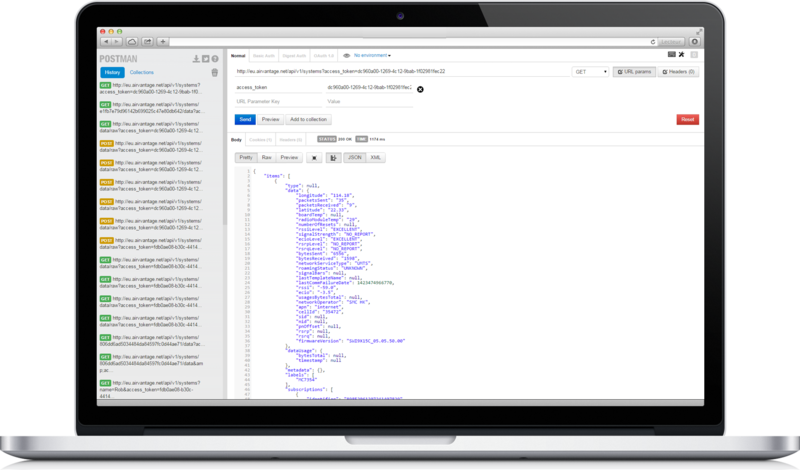 We provide full documentation for the API, to get you started as easily as possible. Store and forward high bandwidth device messages or events reliably at high pace to the enterprise using our Data Push option based on AMQP standard . 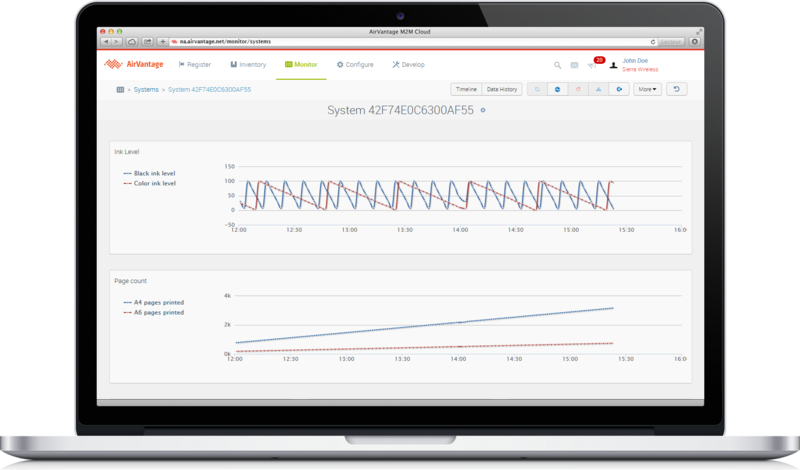 AirVantage store any data sent in time series without any sub sampling, so you can access 100% of the data sent. 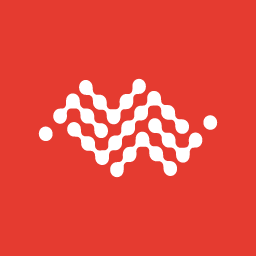 The System Multi Raw datapoints API can be used when you need to access raw data for a period of time to diagnose a machine failure or behavior, to analyze some specific sensor data or perform some proprietary analytics. AirVantage computes pre-defined statistics in real time: average value, minimum value, maximum value, sum of the values, count the number of datapoints sent, sum of squares of the values, standard deviation of the values, number of occurrences of the set of values. These statistics are available for a period of time given in the API: hour-hours, day-days, month-months, year-years. 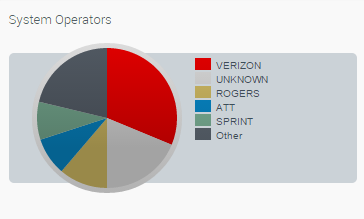 The statistics are available for any system and for the fleet. 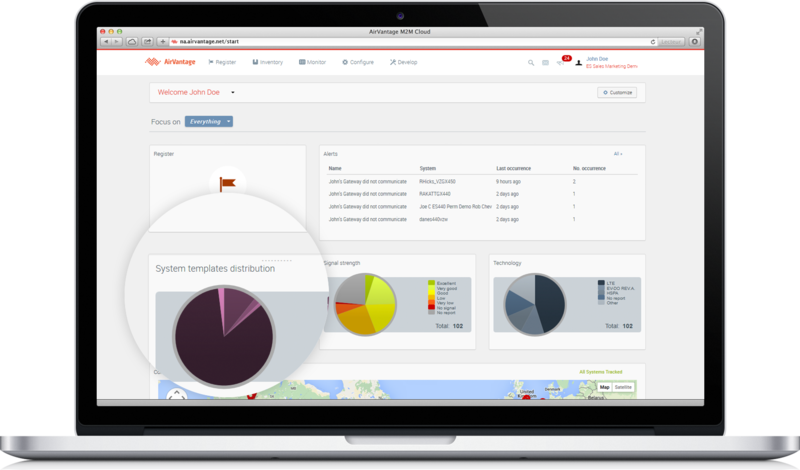 The Fleet aggregated datapoints API provides statistics for the entire fleet. The statistics for the fleet are computed from any statistic available for the systems; so you can get for a sensor data the minimum of the maximum, or average or minimum value, and so forth. Deploy IOT in days, not months. 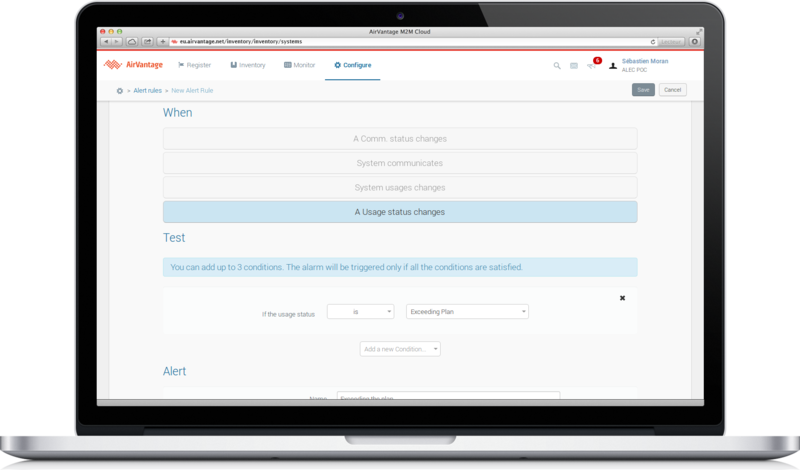 Use the AirVantange timeline to check or troubleshoot the communications from the device to AirVantage. 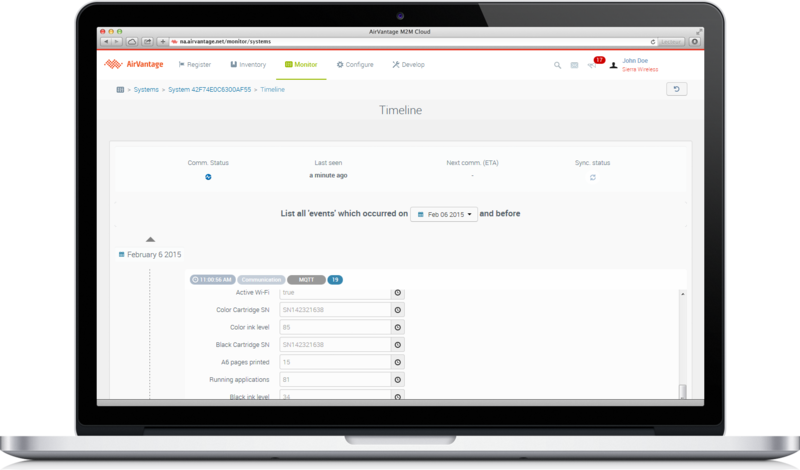 The timeline gives you a real-time window on data communications sent to AirVantage. The timeline notifies you when a new communication event occurs. To start debugging, just display this page and watch update notifications appear at the top of the page as data is received. It helps you validate your embeded application without extra coding, and focus on your features. 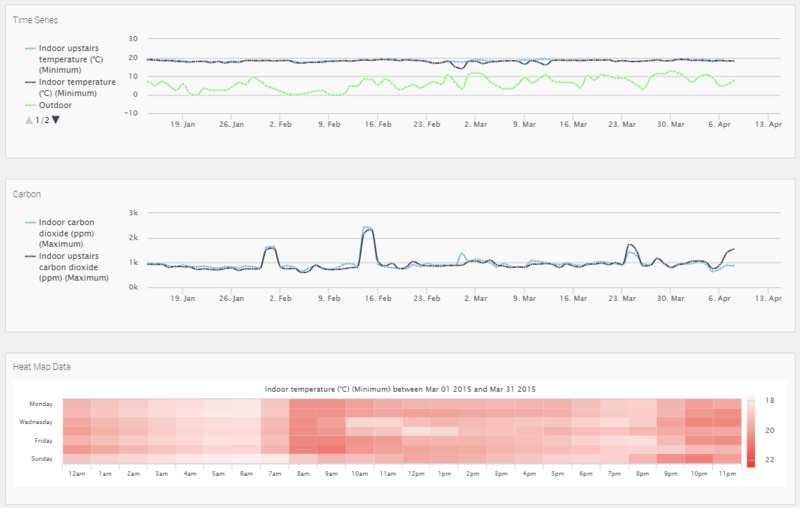 It can be used when your devices and applications are in the field, you can customize the user interface to show any data sent to AirVantage, look at the history, observe trends or issues. Alerts can trigger emails and also automatic calls to any external application listening to AirVantage: Webhook. Centrally configure the hardware deployed in the field. Create configuration template and apply to multiple devices. Update modem firmware and embedded applications over-the-air. And that’s just the tip of the iceberg! 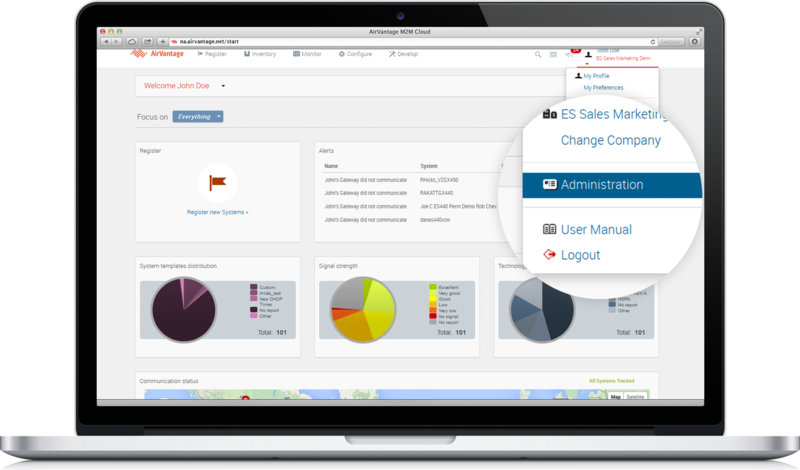 AirVantage provides many more features. Check out the AirVantage API Reference guide for further details.